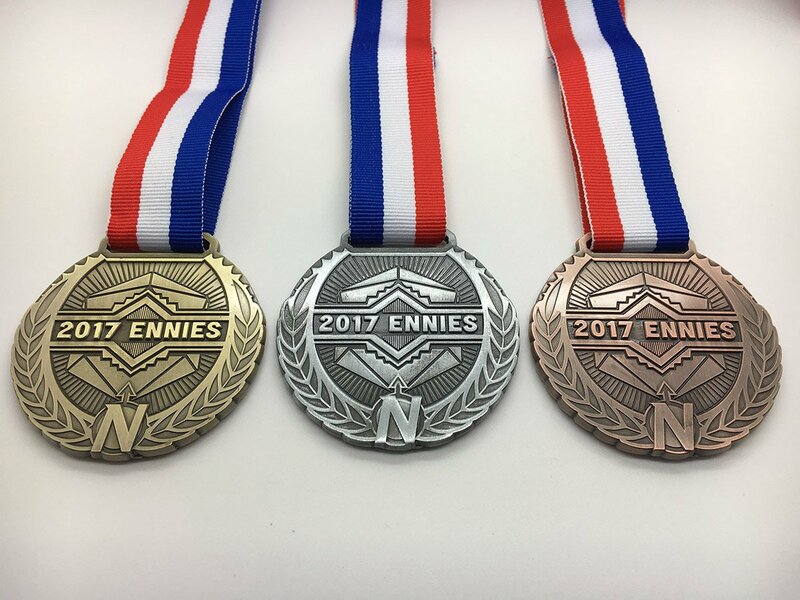 The 2018 ENnie Awards were presented during Gen Con on August 3. The 2018 ENnie Award Nominations are out. The annual awards are given for RPG products, RPG games, RPG accessories, and RPG related items. This year the judges considered a record 514 submissions from 251 publishers and creators. Among the finalists are 72 unique publishers/creators in the 23 award categories and Judge’s picks. Fans still have until July 7 to nominate their 2018 Fan Favorite Publisher. 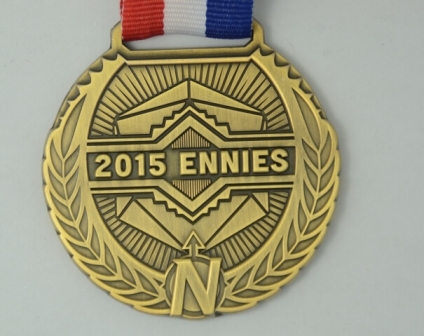 ENnie Award winners will be announced on August 3 during GenCon in Indianapolis, Indiana. Starfinder GM Screen, Paizo Inc.
City of Mist, Son of Oak Game Studio Artist: Marcin Sobo? Khan of Khans, Chaosium Inc.
Runequest: Quickstart Rules and Adventure, Chaosium Inc.
Starfinder First Contact, Paizo Inc. The Grand Grimoire of Cthulhu Mythos Magic, Chaosium Inc.
Starfinder Core Rulebook, Paizo Inc. 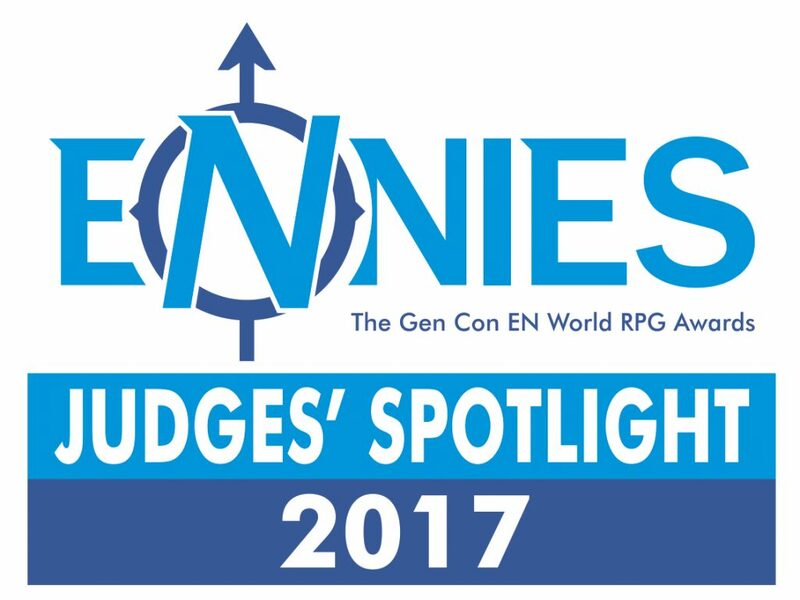 The 2017 ENnies, the Gen Con EN World RPG Awards, and Judges Spotlight Winners were presented on August 18. The ENnies celebrate excellence in tabletop roleplaying gaming. And congratulations to the Age of Ravens blog, run by Cat Rambo’s brother, for winning silver in its category. The livestream video of the awards ceremony can be viewed at YouTube. 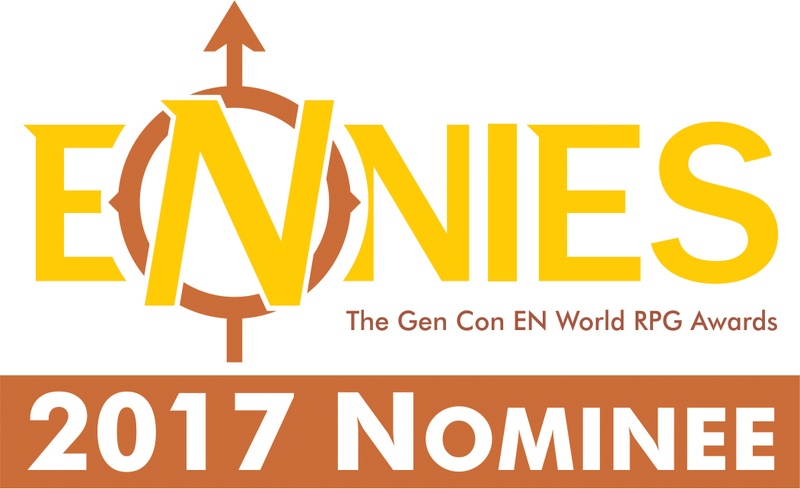 Nominees for the ENnies, the Gen Con EN World RPG Awards, and Judges Spotlight Winners have been announced. The ENnies celebrate excellence in tabletop roleplaying gaming. Voting runs from July 11 to July 21. The winners will be presented August 5. The 2015 Gen Con EN World RPG Awards were announced July 31 in Indianapolis. Guide to Glorantha, a role-playing sourcebook by Greg Stafford, Jeff Richard, and Sandy Petersen, published by Moon Design Publications. This is a brand new situation for the ENnies – we’ve never had to worry about copyright law before, and the issue has never come up. Our initial position was that publishers and creators are responsible for managing their own legal affairs, and that it was not appropriate for us to assume or interfere other than to hold a basic assumption that entrants had covered their own legal bases and were in compliance with anything they needed to be. For 15 years, that has stood us in good stead, but we recognise that this year’s situation has highlighted a weakness in that system. So thank you for your patience while we figured out what we needed to do. We believe that IP issues are important, and while we are not lawyers, we believe that this product is in violation of basic IP law. We do note that the creator of the product in question does not share that opinion for a number of reasons. We have also reached out to Bioware/EA, the owners of the Mass Effect IP, and have heard from artists whose work was used in the product, and have established since that some artwork was not used with permission. This is not something we are comfortable endorsing, and we wish we had realised it earlier in the process; however we can make changes now to ensure that we do so in future. 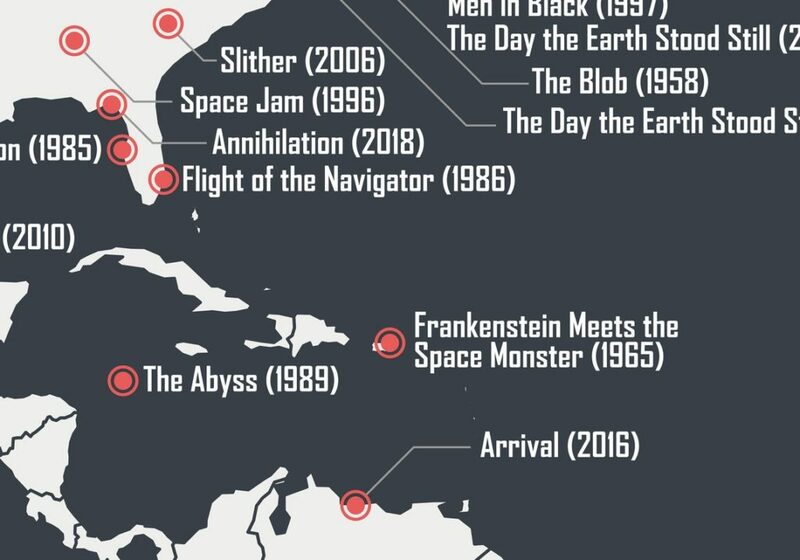 Greetings, I’m Don Mappin, creator of the work in question. First, I’d like to state that I agree and support Morrus’ decision and that of ENWorld to disqualify the entry. I believe that some very valid points have been made vis-a-vie an unlicensed works inclusion into the ENnies and potential ramifications. I cannot speak to publisher concerns as none have contacted me, nor has EA/Bioware to date. However, as of last night, after exchanging emails with Morrus and staff, I had reconsidered my position and was prepared to withdraw my nominations, voluntarily. This decision, however, is better, as it allows ENWorld to make clear their position and address the aforementioned concerns forthwith. The work–licensing not withstanding–was submitted by myself merely as an exercise to have it judged on its merits versus my peers. On that point I believe it did very well, having been selected by the judges as a finalist for Product of the Year (among others). I would like to voice my thanks the judges for doing so and that the quality was in keeping with other entrants. One statement made by Morrus rang true with me, which was that there was an expectation of good faith on the part of entrants. While I took no steps to hide or misrepresent the work, I believe that I failed the litmus test of good faith in my entry. To the staff of ENworld and the ENnies, my apologies. It was not my intent to cause discord. I have worked within the RPG industry for many years, professionally. It is a calling that you come to love and one that I have tried to vigorously support, to the extent of sharing a private work that I created for the enjoyment of others. That it might have (or may) cause some damage is saddening to me. As such, of my own decision, I have removed the work and associated files as of today. A quick update: I have taken the Files section offline of my own accord and intend to do so permanently. I will post more details in the coming days. The award judges will select alternate nominees to replace Mass Effect in the Best Electronic Book, Best Free Product, and Product of the Year categories before final voting opens on July 4. Nominees for the ENnies, the Gen Con EN World RPG Awards, and Judges Spotlight Winners have been announced. The ENnies celebrate excellence in tabletop roleplaying gaming. Voting runs from July 4 to July 14. The winners will be presented July 31. ConTessa – Tabletop gaming by women for everyone! Update 06/30/2015: Mass Effect has been removed as a nominee in three categories. Replacement nominees will be selected. See details here. // The three new nominees have been announced. They have been added above.